Your credit rating follows you through life, so it is essential to establish good financial habits and to protect your positive credit references. Repairing damage to your credit standing is much harder than maintaining a good credit rating, giving you plenty of reasons to stay on top of your financial obligations. Credit reporting begins with your earliest credit relationships, tracking your repayment history and your success managing debt. Each positive outcome reinforces your credit score, slowly establishing a solid base from which to build further proof of your creditworthiness. Late payments, on the other hand, work against you almost immediately, undermining your efforts to build a strong rating. Allow the damage to grow, resulting in default or legal action, and you’ll face a years-long uphill battle restoring your credit score. With so much at stake, building and maintaining positive credit references is ultimately one of the most important personal financial pursuits faced by consumers. Major Purchases – Your personal cash flow may account for daily needs, covering basic costs and supporting your ability to pay for essential goods and services. On the surface, your credit score may not seem to play a role in your day to day financial management. It is not until financing is required, when you need money to buy a house or car, that the true impact of your credit rating may be felt. Banks and other lenders use your credit score and repayment history to evaluate creditworthiness. When a major purchase looms on your horizon, a lifetime of credit interactions comes to the forefront, resulting in loan approval or in disappointment. Homes, cars and investments are a few examples of big-ticket purchases, which may call for outside financing. When it is time to make these milestone buys, you’ll need to put your best foot forward. Unfortunately for those with a bad credit rating, the damage has already been done and can only be corrected with time – years, in fact. Access to Various Forms of Credit – Over the course of a lifetime, your credit needs will include a number of different forms of financing. In addition to mortgages and car loans, you may need access to credit cards, personal loans, and student financing. And since many modern contracts are credit-based, your credit standing can also have an impact on things like mobile phone plans and even utility accounts. Without a proven track record repaying loans and revolving credit accounts, vendors and lenders see you as a risky proposition, so they add conditions and requirements to protect their interests. If your credit rating is poor, for example, a utility company may require a cash deposit, before opening your service account. 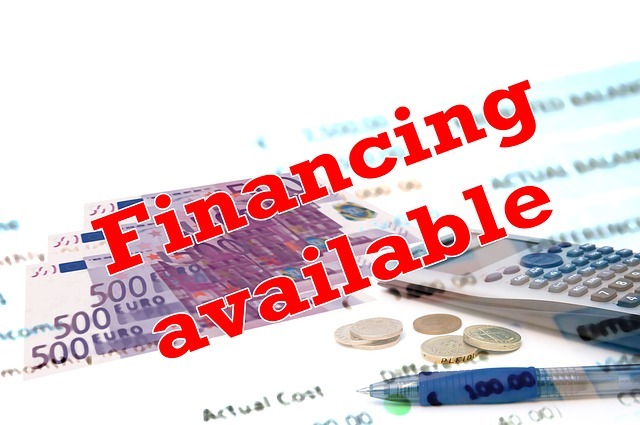 Similarly, when seeking financing, you may be limited to guarantor loans like these, which require you to provide a co-applicant for approval. The guarantor acts as a safety net for lenders, who have a second avenue of recovery, should you fall short on repayment. While this form of financing is an effective alternative for those with damaged credit, it isn’t always possible to find a family member or friend willing to add their name to your promissory note. A solid credit history voids the requirement, giving you consistent access to needed credit. Best Rates and Terms – At opposing ends of the spectrum are those with stellar credit references and others with a severely damaged rating. Outcomes are clear for these groups, who’ll enjoy favorable financing and a borrowing frustration, respectively. In practice, however, many individuals fall somewhere in-between, presenting a middle of the road credit score. For those with acceptable, but relatively low scores, credit applications may be approved, but interest rates and terms will not be as attractive as those offered to their well-qualified counterparts. In order to land the best rates and keep subsequent interest payments as low as possible, start early in life and never relent, building and protecting your credit rating. Although it may not seem to impact daily life, your credit rating is a lifelong partner, impacting access to credit, financing terms and your ability to make big-ticket purchases. For the best credit outcomes, focus on maintaining good references, using every credit interaction to boost your score. This post contains affiliate links/ads. For more information, please see our disclaimer policy. Previous Post: « How Will You Celebrate Freedom Day? I know that I want a mortgage in roughly a year, which is partially why I focused on getting my credit score from Good to Excellent. Now I just need to maintain that while I build up my deposit fund and get the rest of my life and finances in order. Goodbye roommates!